What should you do if your child develops a fever, cough, vomiting, rash, sore throat or head injury? What should you do about behavioral issues, from toilet training to teaching responsibility to teenagers? These are questions that all parents have. And, questions about kids’ health and parenting issues can arise anytime – evenings, weekends, when you’re at work or traveling or your doctor’s office is closed. 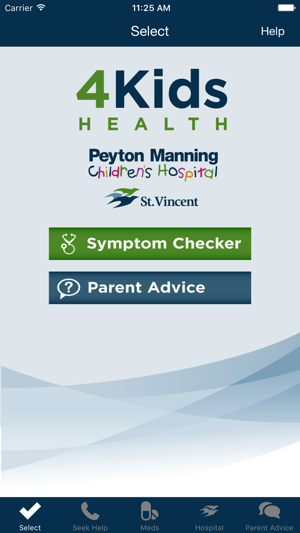 That’s why Peyton Manning Children’s Hospital at St.Vincent offers 4Kids Health- designed especially for these concerns and challenges. Our care guides and parenting tips help you make smart decisions on what level of care (if any) is needed and how to provide symptom relief for minor illnesses or injuries you can manage on your own. 4Kids Health is derived from the clinical protocols used by pediatricians and nurses in 10,000 practices and 400 nurse advice call centers in the US and Canada. They have been tested for 15 years on more than 150 million symptom calls. The parenting tips deal with the most common behavior and wellness questions parents ask their physicians. Each topic provides a description of the issue, three to five specific recommendations to address the concern, and (often) additional resources which may be useful to your situation. The advice messages can be quickly located by using the alphabetical index, category index or keyword search. * Definition which describes the focus of the care guide so you can decide if it’s a good fit for your child’s symptoms. If not, there are quick links to related guidelines. * Decision Chart which helps determine what action is suggested based on the severity and description of your symptom. Once you have a match, simply follow the corresponding action, such as Call 911, Call Your Child’s Doctor Now, Call Your Child’s Doctor within 24 hours or Manage at Home. 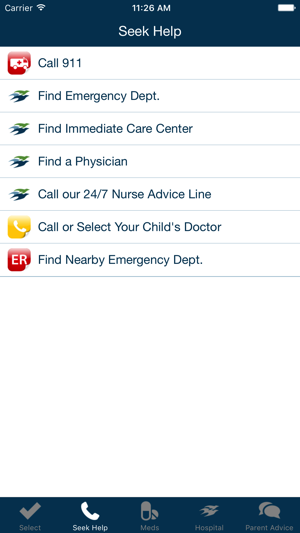 * Immediate Connections to medical help, such as 911, your child’s doctor or nearby Emergency Department (ER) are available if you have phone service. 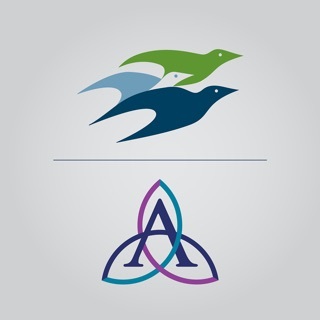 * Home Care Advice is available for any illnesses and injuries that can be treated at home. The instructions provide clear, up-to-date steps for relieving symptoms. 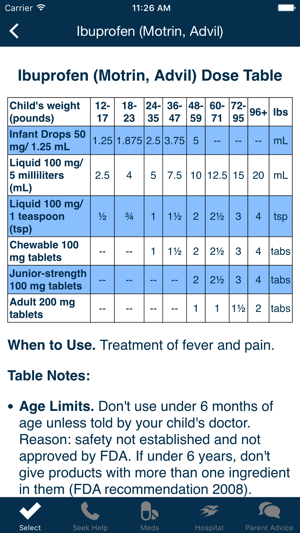 * Pediatric dosage charts for common over-the-counter medications. * Visual images to help you identify symptoms (e.g. 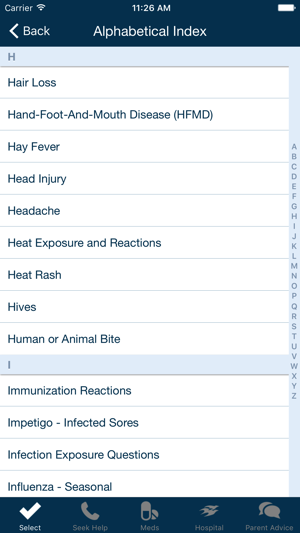 rashes), injuries and common causes of bites & stings. * First Aid topics and illustrations to support immediate action, if needed. Disclaimer: The information provided with this Application is not a substitute for professional medical or behavioral advice, diagnosis or treatment; it is for informational purposes only. Talk with your healthcare provider about any questions you may have regarding a medical condition. If you think your child may have a medical emergency, call the doctor or 911 immediately. Before using 4Kids Health, all users should read and agree with the full Disclaimer available in the application within More > Terms and Conditions. 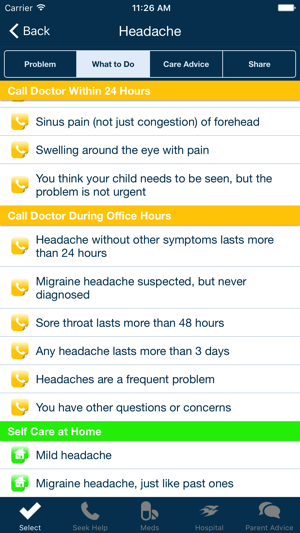 This app is always my go-to when it comes to children’s illnesses. The different levels of care advice and treatment advice are not just helpful, but also give some simple knowledge to common illnesses. I always tell people about this app if they have little ones. Wonderful app! Helps me greatly as a first time mom! St. Vincent Hospital and Health Care Center, Inc.
© 2018 Self Care Decisions, LLC.